Their needs were simple, they want to know who is picking up bundles of food and if it had been more than 14 days since their last visit. Additionally, there were some "nice to have" items like race, ethnicity, and veteran status. I knew the people working for the Food Bank were volunteers, so I wanted to make the system as simple as possible. I also didn't want them to install any applications or have to pay any licensing fees. Therefore, the logical solution to me was a cloud hosted database application. Of course, this couldn't be an enterprise solution, so Oracle or SQL Server were out. I also didn't want to spend a ton of time propping up and administering my own system on a hosted server. Enter the wonderful tool pythoneanywhere.com. Python Anywhere gives a very low cost solution for cloud database applications. For five buck a month I can instantly spool up a Danjo Sqlite stack and start coding right on their in-site IDE. It's awesome. In just one weekend I managed to create an online tool where they could query their client base. Add new customers, and enter transactions. The interface would tell them right away if this person had a transaction in less than 14 days and the super efficient Django ORM let me easily code normalized tables for the customers and transactions - as well as create data validation parameters for items like state and race in the same model where I defined the schema! I did eventually go a step further and write a bash script to periodically dump the Sqlite tables into a MySQL reporting database, and my firm Syntelli Solutions gave them a free license to Tableau. PythonAnywhere allows ssh tunneling right into their site, so the dashboard refreshes with the data! 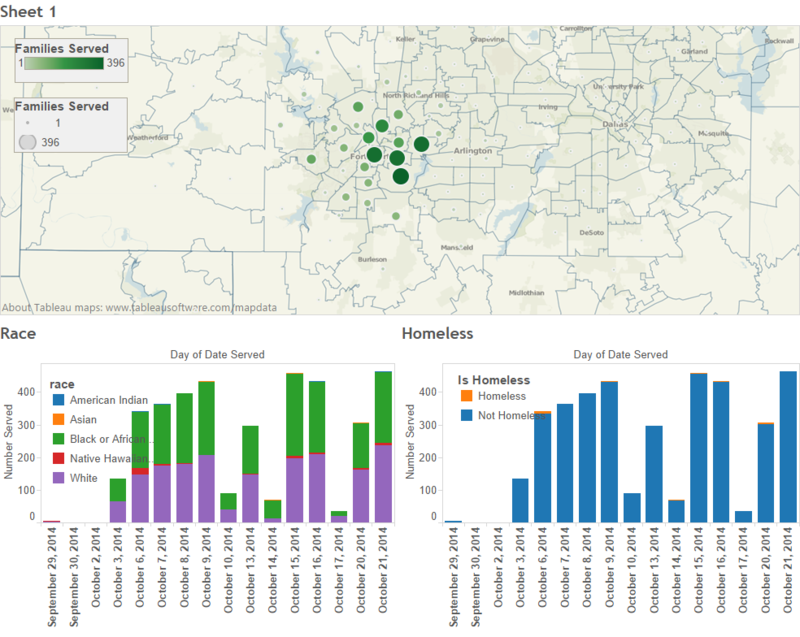 So now, with just a few hours of coding, an awesome online tool, and a generous organization, we've provided the folks at the Community Food Bank with an (almost) enterprise level customer tracking and reporting tool! See, Business Intelligence can be used for good!